Everyone should feel grateful to the Supreme Personality of Godhead because He is maintaining all their necessities. There is no way to express our gratitude but to pray with folded hands. 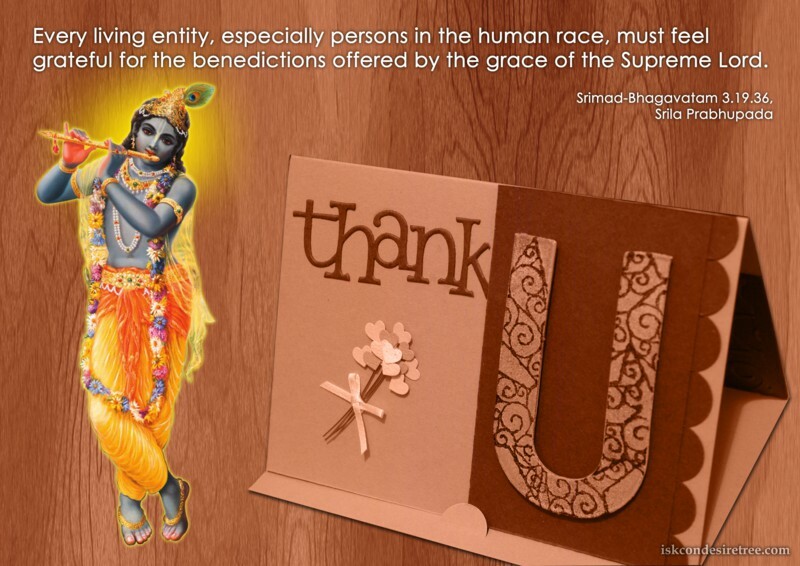 Every living entity, especially persons in the human race, must feel grateful for the benedictions offered by the grace of the Supreme Lord. 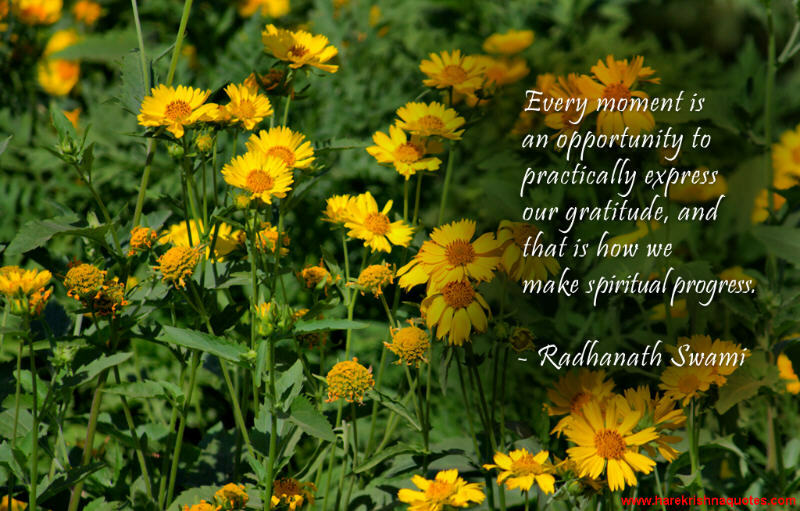 There is one quality that makes the mercy of guru and Krishna accessible – and that is GRATITUDE. Krishna will take our devotional service seriously when he sees we have gratitude to the great souls who have given their lives to help us.